Stonefold is handily placed for major routes such as the A66 and M6 (junction 40). It is also surrounded by some of the most sought after locations in the Northern Lake District with Ullswater just 4 miles away. The popular town of Keswick with all its attractions is 15 miles away and the market town of Penrith is two miles distant. The Eden Valley with a host of unspoiled villages to visit, the Scottish Borders , Hadrian's Wall and the Pennines are within less than an hour's drive. As is the Southern Lake District and Grasmere, Ambleside and Windermere. There is everything nearby that you could wish for - golf, fishing, horse riding, tennis, boating, paragliding, quad biking, bowls! There is a good selection of country inns to be found locally. The village pubs at Stainton and Clickham are recommended as is the Herdwick at Penruddock. Also at Stainton is an excellent Farm Shop selling local and organic produce, and the Alpaca Centre is also well worth a visit. Aira Force - Aira Force is a waterfall situated near the north shore of Ullswater, where William Wordsworth wrote the famous words, "I wandered lonely as a cloud". It is situated in a beautiful Victorian landscaped park managed by the National Trust. Admission is free and some of the walks are wheel-chair friendly. 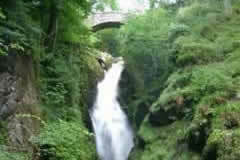 Arguably the Lake District’s most famous waterfall, the tiny bridge that spans it is not for the faint hearted! 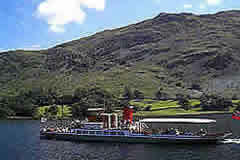 Ullswater and the Steamers - The Ullswater steamers are within easy reach. These operate between Glenridding and Pooley Bridge. You can't visit the lakes without spending some time on the water! The 3 historic vessels date from Victorian times and 2 have been operating on Ullswater for almost 110 years! 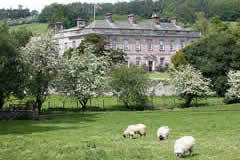 Dalemain House - Dalemain House is an impressive Country Mansion set in beautiful grounds. It has its' origins in medieval times with Tudor and Georgian additions. Some parts of the house are a glorious confusion of winding passages, quaint stairways, unexpected rooms - the sort of house children love to play in. Part of the charm of Dalemain is that it is still very much a family home, still occupied by the Hasell family, who have lived here for more than 300 years. 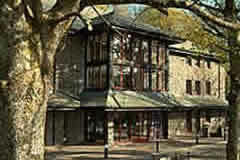 Theatre by the Lake - The Theatre by the Lake is Cumbria's year-round theatre, situated in Keswick - the heart of the English Lake District. Purpose-built to house the best in arts and entertainment, it offers visitors a varied programme of events, throughout the year, in one of the most beautiful locations in Britain. Rookin House - is an established adventure venue and has been offering a wide variety of outdoor activities for over 20 years. Family owned and operated, Rookin House has a strong focus on both fun and safety.Just a few minutes away, set in 250 acres of wonderful countryside is Rookin House Equestrian and Activity Centre. It offers a wide range of activities - such as quad-bikes, pony trekking, archery and clay pigeon shooting. Many people combine several activities into an adventure day - and some can be enjoyed indoors if the weather is poor! Rheged - Named after Cumbria's Celtic Kingdom, Rheged is Europe's largest grass covered building and a winner of the global "BA Tourism for Tomorrow Awards". 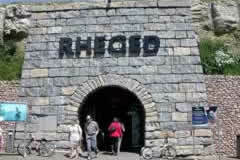 Over 1 Million visitors have visited the Rheged discovery centre since it opened in 2000. Built into a hillside, with interesting shops,which includes Saunders Chocolates, where visitors can watch them make exquisite chocolates in their "immaculate" workshop. An IMAX big screen, the size of 6 double-decker buses, is also available for your entertainment. 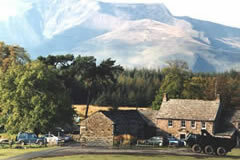 The website of the Ullswater Association, www.ullswater.com includes details of forthcoming events in and around Ullswater as well as accommodation, attractions, local weather and transport information.